Hello world. It’s been awhile since the Web Ecology community last made a peep on the web. Some had been speculating that we had simply up and disappeared, but reports of our demise were greatly exaggerated, as they say. 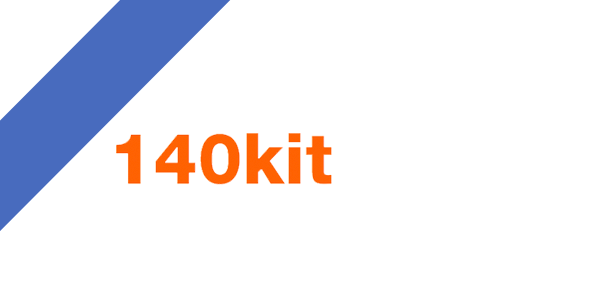 Thanks to the completely amazing work of our affiliate researchers at Bennington, we’re glad today to announce the public launch of 140Kit, Web Ecology’s very own free-to-use toolkit for exploring and data mining Twitter. It’s the final product of the various provisional tools we’ve used to produce our previous reports on the social phenomena of Twitter, and of lead researcher Devin Gaffney’s own work on high throughput humanities. It enables complete data pulls for a set of users or terms on Twitter, with searches running continuously. The ability to download those data pulls in raw form to use for whatever you please. The ability to stand on the shoulders of giants by mixing and matching existing data pulls to generate entirely new combinations of data and analysis. And the ability to instantaneously generate basic visualizations around the data (term use, inequality of participation, etc). Best of all, we are making this platform open and free to use for all interested users. This includes opening up an API for queries of all sorts, an honest, open, and editable codebase, and plans already in the works to make the program extensible to allow developers to write their own analytics for the kit, on whatever sort of metrics in whatever programming language (stay tuned for details). So, get in there and play, people. And let us know if you have any questions! tim.hwang@webecologyproject.org or contact@webecologyproject.org. Well , the view of the passage is totally correct ,your details is really reasonable and you new balance 996 guy give us valuable informative post, I totally agree the standpoint of upstairs. I often surfing on this forum when I m free and I find there are so much good information we can learn in this forum!